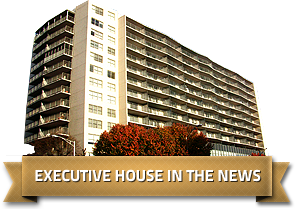 Executive House features the finest luxury apartments in Harrisburg, providing the perfect setting for a more private, luxury lifestyle. Located in the bustling city of Harrisburg, our spacious and stylish units offer the best of luxury and comfort. Keeping clients happy and satisfied is on top of our list.Our staff always goes the extra mile to address all your needs and provide a place that you can truly call home. We have a concierge manned by our friendly lobby assistant to help with all matters regarding your residency. We also have a Resident Center where you can submit maintenance/work requests, pay rent, and get information about the community.